Two astrophysical missions, NICER and LISA, could soon change our understanding of the universe. Scientists hope that both instruments would help them answer fundamental questions about the universe, testing many aspects of Einstein’s theory of general relativity. NASA’s Neutron star Interior Composition Explorer (NICER) is already in space. It was launched to the International Space Station (ISS) on June 3, 2017 and is mounted on one of the station’s external platforms. The instrument studies the densest observable objects in the universe. Nicolas Yunes, a Montana State University (MSU) gravitational physicist, is one of the scientist convinced that NICER and LISA will play a key role in improving our knowledge about the universe. “The X-rays emitted by pulsars (rotating neutron stars) that NICER will detect and the gravitational waves emitted in the coalescence of supermassive black holes that LISA will detect will allow us to test Einstein’s theory of general relativity more stringently than ever before in a regime that has not yet been fully explored,” Yunes told Astrowatch.net. Yunes is a founding member of the MSU eXtreme Gravity Institute, known as XGI, and an associate professor in the Department of Physics in MSU’s College of Letters and Science. He leads the scientific project known as “Exploring Extreme Gravity: Neutron Stars, Black Holes and Gravitational Waves.” Recently, this project received a $750,000 grant from NASA’s Established Program to Stimulate Competitive Research, or EPSCoR, to continue the works aiming to answer fundamental questions about the universe. Backed by the funding, Yunes and his team will be able to focus on improving and developing tools to extract as much astrophysics information as possible from X-ray data obtained with NICER. They will also work to create a framework to test Einstein’s theory of general relativity using X-ray data from NICER, as well as gravitational wave data gathered by LISA. Moreover, this grant will allow him to grow his research group within the XGI. “The NASA award I received is crucial to expand my research endeavor and address fundamental questions about gravity with astrophysical observations. The award will allow us to grow out research group by hiring many more graduate students and one more postdoctoral researcher. 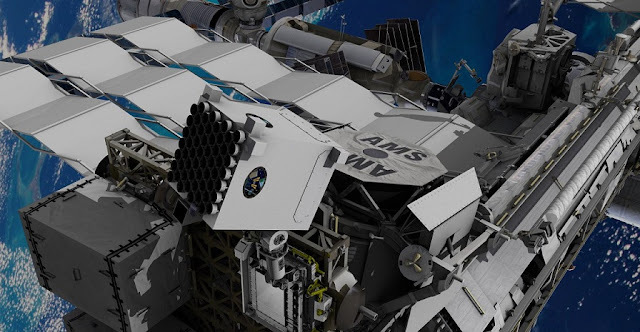 This research group will lay the foundations of the theoretical and fundamental physics implications that could be extracted given future data from NASA missions, such as NICER and LISA,” Yunes said. He confirmed that NASA funding will allow his team to develop new tools and method to extract the most theoretical physics from future observations with NICER and LISA. This information will allow them to test many aspects of Einstein’s theory of general relativity. “These tests will confirm or disprove predictions of Einstein’s theory, such as the idea that gravitational waves move at the speed of light, that the graviton is massless, that gravity is parity invariant, and that the strong equivalence principle holds. Any deviation from Einstein’s predictions would be groundbreaking,” Yunes noted. For instance, NICER will detect the X-rays emitted by hot spots on the surface of neutron stars. The X-ray pulse profile that will be detected depends on the properties of the star, like its mass, radius and moment of inertia. By measuring these quantities through the modeling of the pulse profile, Yunes’ team will be able to stringently constrain the equation of state at supranuclear densities and to test Einstein’s theory of gravity. When it comes to LISA, this instrument could allow the scientists to fully understand the gravitational wave universe, since ground-based detectors cannot operate at the low frequencies that LISA would operate at. The most powerful sources of gravitational waves mostly emit their radiation at very low frequencies, below 10 miliHertz, or less than one oscillation every 100 seconds. More money. Less explains less in physics, AND more explains more. Enormous amounts of money are made in conjunction with changing experience from what was natural. "Mass"/energy are linked AND balanced. "Mass"/energy involves balanced inertia/inertial resistance consistent WITH/as what is balanced electromagnetic/gravitational force/energy, as ELECTROMAGNETISM/energy is gravity. Gravity AND ELECTROMAGNETISM/energy are linked AND balanced, as ELECTROMAGNETISM/energy is gravity. Balanced inertia/inertial resistance is fundamental, as ELECTROMAGNETISM/energy is gravity. Einstein never nearly understood gravity, as it is impossible to understand gravity apart from ELECTROMAGNETISM/energy AND inertia/inertial resistance. Energy has/involves gravity, AND energy has/involves inertia/inertial resistance. The speed of light involves balanced inertia/inertial resistance. (Note: Outer "space" involves full inertia, AND it is fully invisible AND black.) ELECTROMAGNETISM/energy is gravity. This is proven by F=ma AND E=mc2. Therefore, inertia/inertial resistance is proportional to (or balanced with/as) gravitational force/energy; as this balances AND unifies ELECTROMAGNETISM/energy AND gravity. Accordingly, gravity/acceleration involves balanced inertia/inertial resistance; as ELECTROMAGNETISM/energy is gravity. Electric universe fallacy somehow never accounts for the bearly 40 orders of magnitude difference betw. strenght of electromagnetism and gravity.